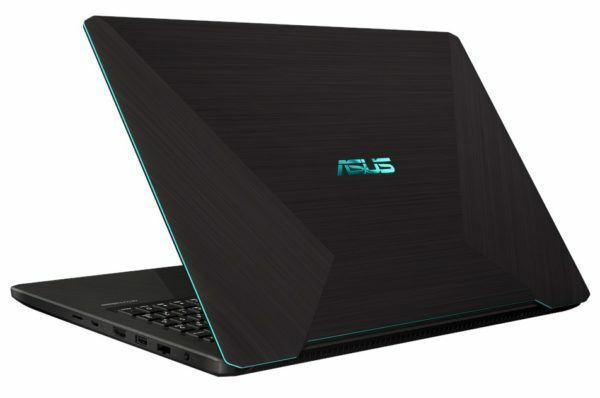 As the Computex 2018 trade show in Taipei is in full swing, Asus is launching a new laptop combining an AMD Ryzen processor with a dedicated NVIDIA GeForce GTX graphics card, the 15-inch Asus X570ZD. 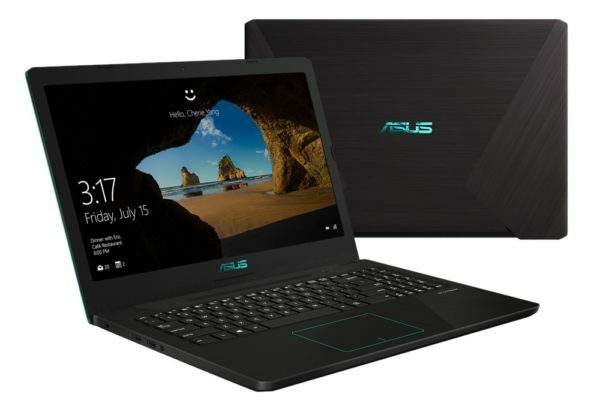 The new laptop Asus X570ZD is built around a processor Quad Core APU (Accelerated Processing Unit) AMD Ryzen 7 2700U (2.2 GHz) to graphics solution Vega 10 or Ryzen 5 2500U (2.0GHz) with graphic part Vega 8. This processor is associated with a maximum amount of RAM 16 GB DDR4 2400MHz (2 slots) and a dedicated graphics card not AMD brand but its competitor NVIDIA: GeForce GTX 1050 2/4 GB GDDR5 dedicated. On the display side, Asus provides 3 screen options 15.6-inch 60Hz Full HD anti-glare (1920×1080) TN 45% NTSC or IPS 45% NTSC or IPS 72% NTSC. Storage side, there are also several options. There are integrated 2 slots: 1 2.5-inch format for hard disk 500 GB or 1 TB or 2 TB at 5400 rpm, and 1 in the format M.2 (SATA 3.0) for SSD 128/256/512 GB. Onboard connectivity is composed of an SD / microSD / SDHC / SDXC card reader, Bluetooth 4.1 and Wi-Fi wireless modules ac (1×1 or 2×2), HDMI 1.4, Gigabit Ethernet, Headset / Mic audio combo , 2 USB 2.0, 1 USB 3.0 and 1 USB 3.1 Type-C (Gen1). Also on the program of the Asus X570ZD, a VGA webcam with microphone and 2 speakers SonicMaster 2W. In options are provided a key backlight system (stroke 1.4mm) keyboard chiclet with keypad and a Windows Hello compatible biometric reader . 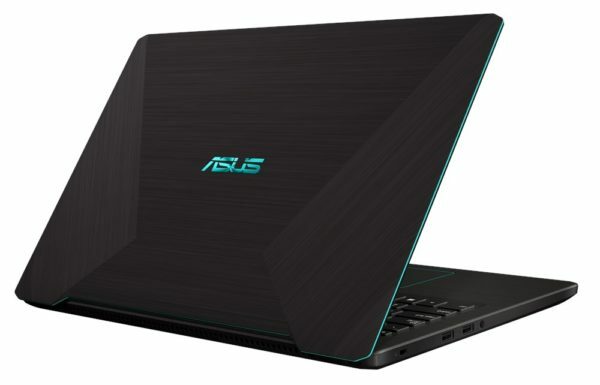 The Asus X570ZD weighs 1.9 Kg with its 3-cell 48Whr battery that offers an announced autonomy of 10 hours under Windows 10 in Full HD video playback and measures 374.6 x 256 x 21.9 mm. Its battery can be recharged to 60% in 49 minutes. It is distinguished by an original design with a brushed metal finish shell, a black color and touches of turquoise blue. 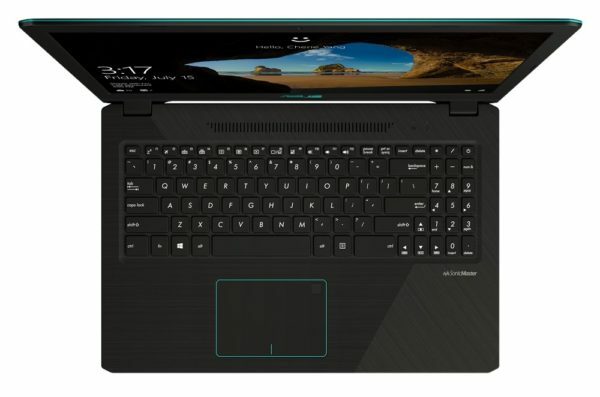 This computer is also equipped with IceCool technology which makes it possible to maintain the temperature of the wrist rest at a reasonable level, below 36 °.